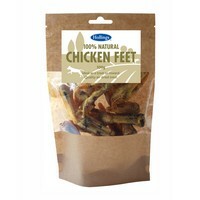 Hollings Chicken Feet are a 100% natural treat for dogs. They are air dried, grain free, contain no additives, preservatives, colouring or flavouring. 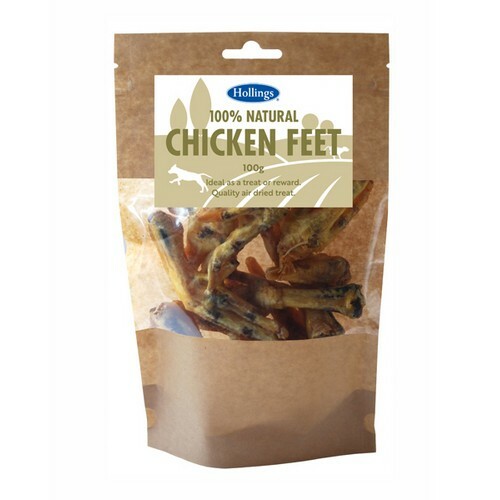 Hollings 100% Natural Chicken Feet are also high in protein and low in fat. A great dental snack for any dog. Note: This is a natural bone product and may splinter, therefore please supervise your dog at all times. To be used as a complementary dog food/treat.